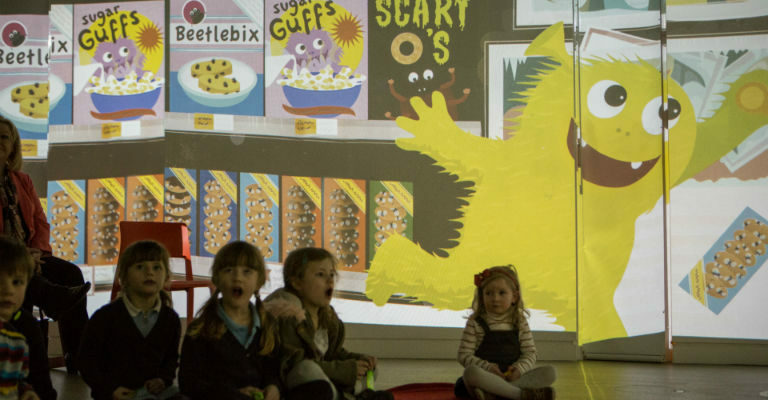 Join us for an immersive and spooktacular storytelling session perfect for under 7’s and their families where friendly ghouls will come alive before your eyes as they are projected onto the walls in our immersive StoryWorld. Get into the Halloween spirit by listening to tales of tricks and treats and enjoy a range of scare-tastic crafts and spooky games. Make sure to go dressed up as your favourite Halloween monster too! There is also a one-off session on Halloween itself on Wednesday 31 October, 4.30pm.